No word if they are bringing their mom as a plus one, but 14-year-old LinkedIn is going to the Grammys! Rest assured, you won't see them interviewed on the red carpet. And there probably won't be people gasping about their gown. The nearly $2 million they will drop on a 30-second spot is designed to help show their relevance in a social media setting, where 14 years makes them a rare, surviving contemporary of long-faded MySpace pages. 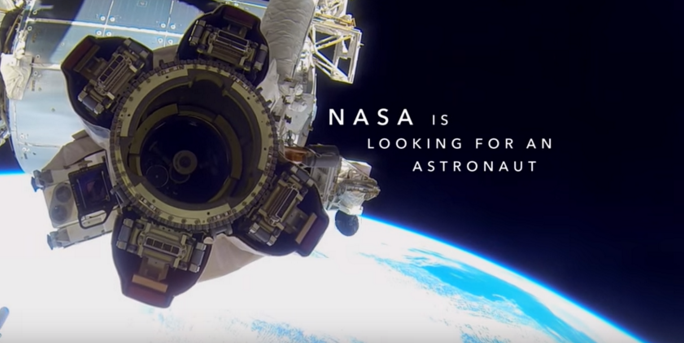 LinkedIn makes note of the fact that nearly 3 million user profiles possess the required skills to become America’s next generation of astronauts. The clearly aspirational tone of the astronaut job spot overlays CEO’s Jeff Weiner memory of a childhood dream on top of California Stars, a 1999 collaboration between Billy Bragg and Wilco. BBDO San Francisco and LinkedIn’s in-house creative department took care to target both job seekers as well as the corporate dollars that feed the beast. They highlight the ability to actually comb individual profiles for matches, even with the varied qualities needed for space travel, for business and recruiter. For individuals, they remind you that maybe, just maybe, that hope of doing what you always wanted to do is still real. Even if you feel stuck. All and all, it is a pretty good maiden voyage for them. It has the added bonus of reminding me to link in my high school chemistry teacher whose college advisor was on the Manhattan Project. You never know, I could be two steps away from a NASA career, after all. What do you think of the ad? Is it strange for you to see a company like LinkedIn using traditional media? Share with us what you think in the comments below!